After passing the 12th exam, you have to decide your career goals and join a career course to secure your future. Arts students think that they have less career options than science students, but it is a completely wrong concept. Arts students have equal or should I say even more career options than science students. If you have just passed the 12th exam and thinking which career course can be ideal for you, here are some great career options after 12th for you. # Fashion design: Do you love fashion and want to design your own dresses? 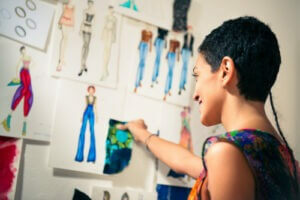 Then a fashion designing course is for you. There are many institutes in India that offer diploma and degree level courses on fashion designing and help you sharpen your skills. During the course, you get to learn garment design and manufacturing technology. Depending on the reputation of the college, course fees differ, but nothing too much. # Event management: Nowadays various social events take place throughout the year and event organizers are highly in demand. There are several event organizing companies in India and they always search for educated, energetic people to run the business smoothly. Therefore, it is a wise idea to learn event management techniques to prepare for a career in event management business. The training will make you aware of the crucial duties that you need to take care of to organize an event in India and abroad. # Mass communication: After passing the 12th exam, you can easily go for a diploma in mass communication to make yourself ready for the job market. Mass communication is ideal for those who would like to join TV/radio/newspaper in future. Mass communication courses are offered by numerous reputed universities in India. The great thing about getting a degree or diploma in mass communication is that it opens many doors of possibilities. Besides media houses, a mass comm. student can get a job in marketing, public relation and ad agencies. # Foreign language: You may not have an engineering degree, but you can certainly join any foreign MNC after completing a course on a foreign language. Several foreign companies are opening their offices in India and for them language is a huge barrier. By learning Spanish, French, Japanese or German, you can effortlessly get the job of an interpreter in a large multinational company. # Acting: If you want to join the film industry, then start learning acting after the 12th exam. You need to be expressive and imaginative to excel as an actor. Besides joining the acting class, you should also nurture your acting skills by acting in drama and theatre. The course fee is quite affordable and considering the booming business of Bollywood, one day you may earn the name and fame like a superstar. # Beautician: Whether you are a boy or a girl, you can always go for a beautician course as long as you have a passion for this profession. Everyone likes to look beautiful and thus, you never have to worry about securing a job after getting the certificate. # Choreography: Do you want to train film stars and help them improve their dancing skills? If your answer is yes, then a course in choreography is the best choice for you. By joining a dance institute, you can learn different dancing styles and get ready to start your career as a choreographer. So, as you can see, there are plenty of professional courses available for 12th pass Arts students. All you need to do is select the course that you like the most and then take admission in a reputed training institution. Author bio: Ankur Rautela is a career counsellor and part time blogger. He suggests various career options after 12th to help students excel in their respective careers.